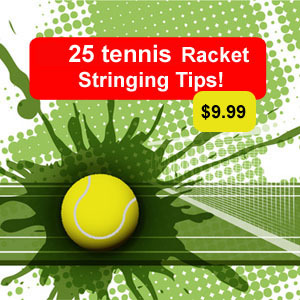 You can get started stringing your own tennis rackets in no time. 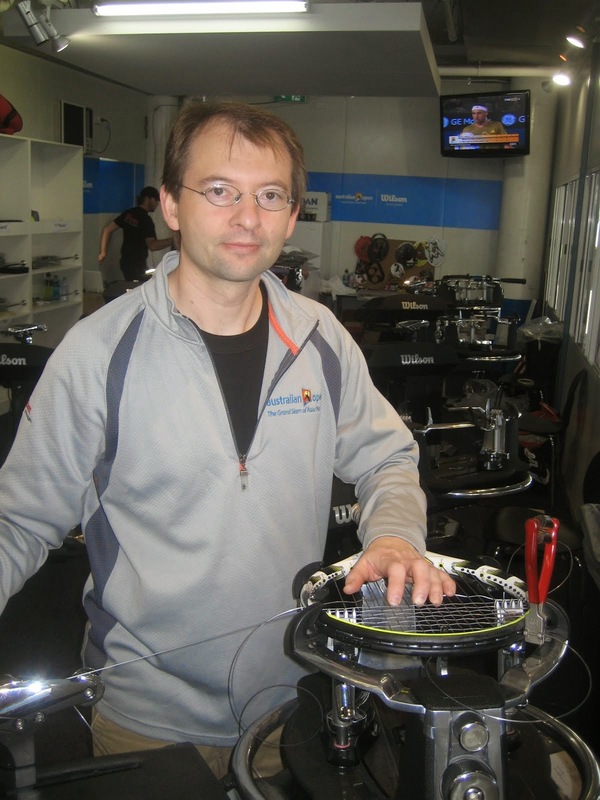 It will take you some time to become proficient and comfortable with some rackets or stringing patterns. The best way to get started is to get a simple stringing machines such as this Gamma x-2, a few stringing tools, some string and your racket!. There are several other machines in this category as well which we will talk about. THE STRINGING MACHINE: This basic two-point mounting system requires only two places to secure the frame. The drop-weight tension system will easily get your tension set. This machine utilizes two "flying clamps" (clamps that are not secured on a shaft or base but are secured by the strings themselves. This machine is a table top model but you can get a table and cover as additional items. For the purpose of learning to string and getting started with a budget to maximize your bottom line, this should do. Some disadvantages to these machines is that they are not as accurate (tension may not be consistent), the two point mounting does not protect the racket as much as a 6 point mounting system. It will most likely take you longer with the drop weight machine than with a constant pull machine to complete a string job. Lastly I feel that the floating clamps are harsher, harder on the strings than the traditional clamps that are connected by a base. A floating clamp basically connects with the previous string to keep it secure. TOOLS: The X-2 does come with an awl (pathfinder tool), straight awl, wrenches and pliers. The basics to get you started. There are some additional tools that would be beneficial but not needed as you start out. GO BUY IT HERE: Gamma X-2 stringing machine. COMMENTS: What I like about this machine is that at around 25 lbs it is pretty easy to store, carry around and set up. Turntable rotates 360 degrees it folds up pretty compact and would be good for stringing on the road. This might be the ticket to get you started, learn the basics and the price point is good at $179 Amazon price (free shipping). Prices only go up from here and once you get started stringing you will start to want more features and gismos on your machine and this will then mean you moved up to the next level.